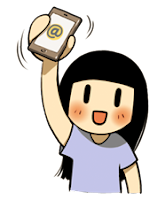 Guess what I am holding here? 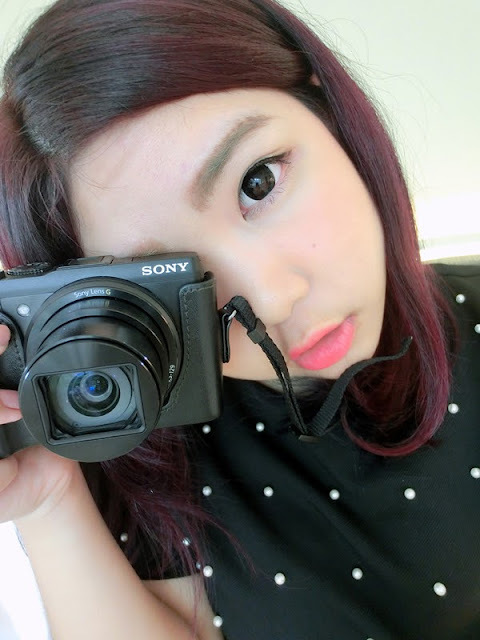 Other than that, I am so glad that I am brought the new latest gadget, Sony Cyber-Shot DSC-HX50V to my Hong Kong trip. This gadget doesn't disappointing but in other way it impressing me a lot. Definitely can't wait to explore more about the features. 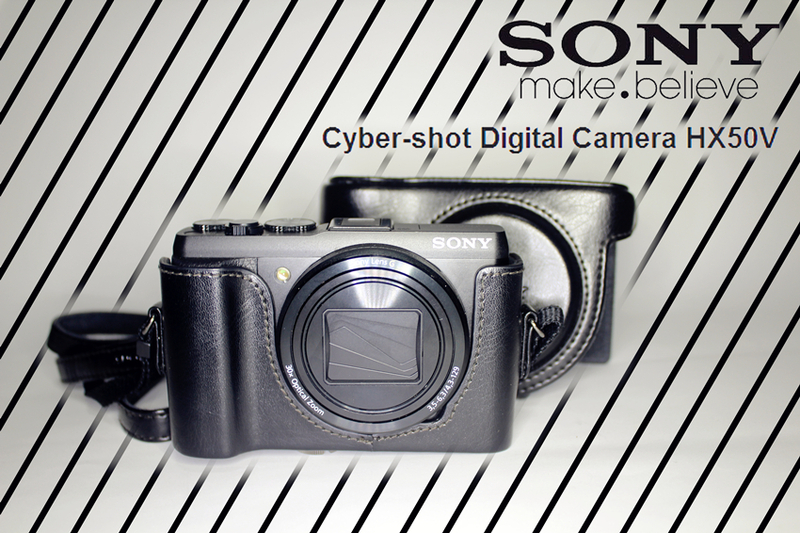 By the way, today I am going to write a short and simple selection review on this gadget, Sony Cyber-Shot DSC-HX50V. For your information, Sony Cyber-Shot DSC-HX50V is a high zoom compact camera although it's more looks like a system camera, lol. This camera can boasts a powerful zoom up to 30x optical zoom plus 60x Clear Image digital zoom for to capture the most distance details. And Sony claims it’s the world’s smallest 30x zoom which I am also do agree about it. 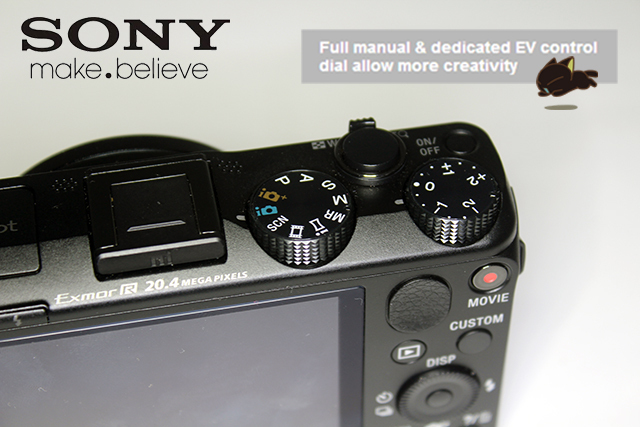 Behalf of that, another feature that I love about this camera was fully manual and dedicated EV control dial. This camera was so much fun to play and many filters to play with. There have many filters that I can play with such like Intelligent Auto, Soft Skin Scene Selection, Gourmet Scene Selection, Memory Recall Mode and Pet Scene Selection. These filters are my favorite and the most use. Total control in many kinds of mode; Adjustable ISO and White Balance too. The last one was Wifi!! No girls are barely live without social networks in this era. With 'WIFI' system, Sony Cyber-Shot DSC-HX50V can transfers photo to phone easily and then using an app to edit and then lastly live to social networks such as Instagram and Facebook perhaps? This is why I love 'WIFI' system so much ♥♥ because a phone camera can't replace the quality photo of a camera. Don't you feel the same too? wow 30X zoom! that's amazing! nowadays all brands are going all out to fight for the market!